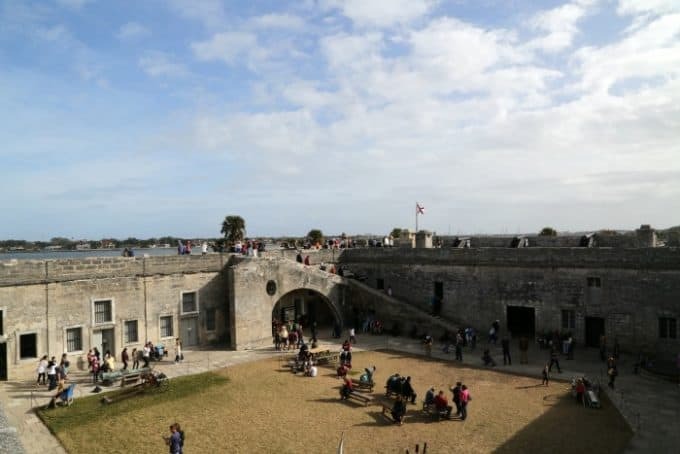 Castillo de San Marcos National Monument is the only 17th century structure still standing in the United States. The castillo (castle) has had quite a history including withstanding bombardments during the period of time when SPain and England warred for possession of the region. 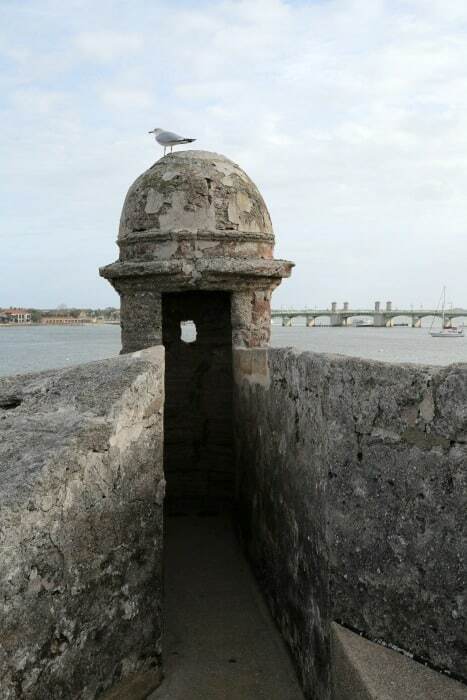 The castillo was built with coquina which is a mixture of broken shells and sand. This mixture is bound by calcium carbonate and becomes a compressible material. 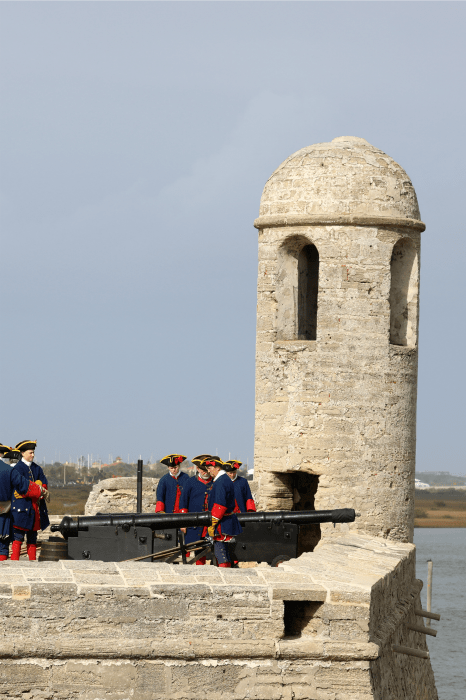 This compressibility has allowed the castillo to absorb the impact of cannonballs instead of having the walls shatter. 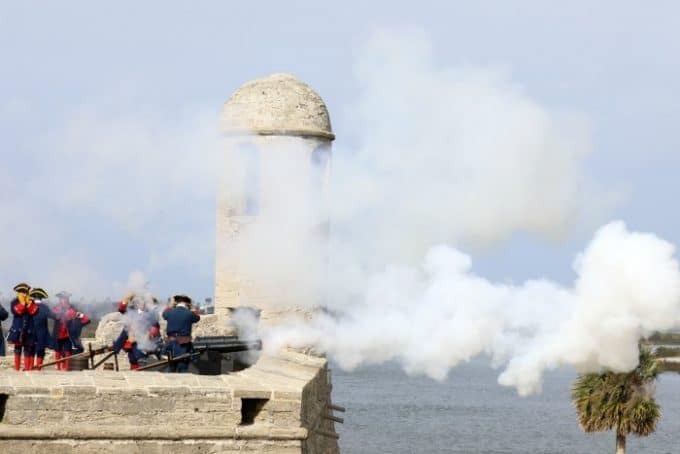 One thing to know is Castillo de San Marcos NM is located in the heart of St. Augustine, Florida. The park can be incredibly busy!!! Parking can be a total pain and you may end up needed to walk a while to get from a parking spot back to the park. Be prepared for Florida weather, sunshine, and make sure you have shoes on that are comfortable. 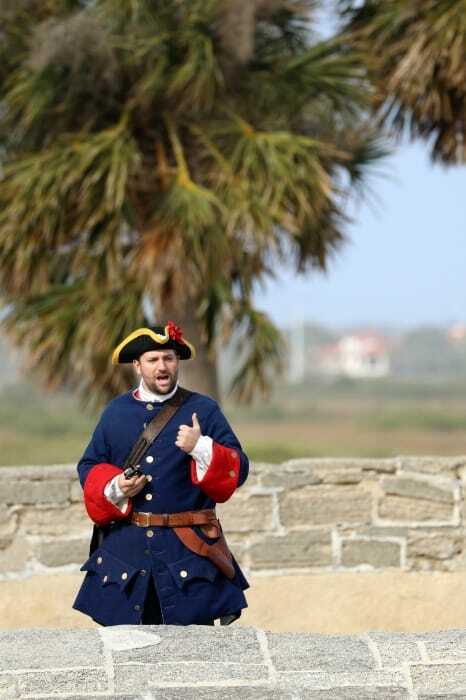 Watch a demonstration of the weapons and hear about the experiences of the colonial Spanish soldier of 1740s St. Augustine. Performed every Friday, Saturday and Sunday at 10:30 AM, 11:30 AM, 1:30 PM, 2:30 PM, 3:30 PM. The demonstration times may be changed due to weather or staffing. You will want to give at least an hour to complete the Junior Ranger booklet. 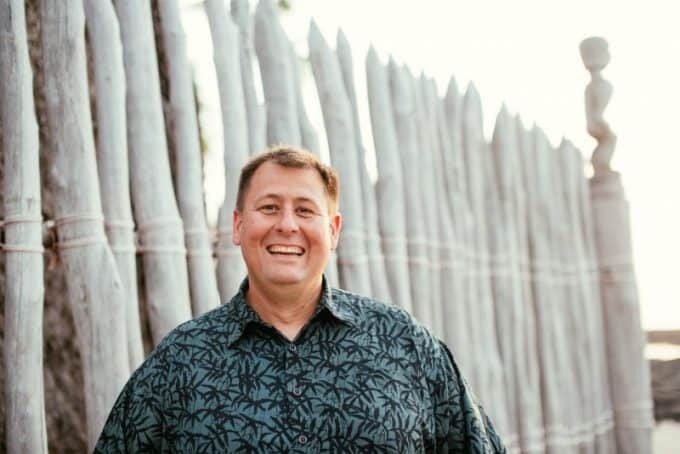 You can find the answers by watching the park video, checking out the park brochure, and exploring the fort. The Castillo de San Marcos NM Junior Ranger booklet can be printed at home if you want to start working on it before your trip. Long term (all day) parking is available for a fee in the city parking garage just behind the Visitor Information Center which is located on the corner of West Castillo and South Castillo Drives, across from the Castillo headquarters building. 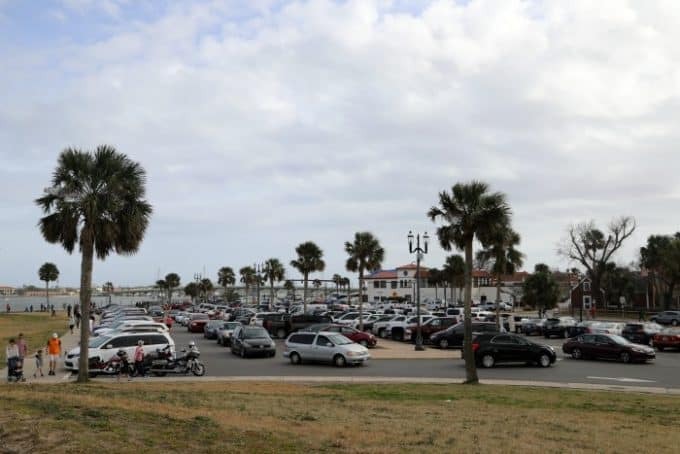 Parking in St. Augustine can be a bit of a mess. I had to walk 20 to 30 minutes from the parking spot I was able to find to the park. First admission is at 8:45 am and last admission is at 5:00 pm with the Castillo closing at 5:15 pm. The park grounds are closed from midnight until 5:30 am. Self-guided tour brochures are available in English, Spanish, German, Japanese, Russian, Dutch, Italian, and French. Pets are not allowed inside the structure of the Castillo de San Marcos. Pets must be kept on a leash at all times on the outside sections of the park.